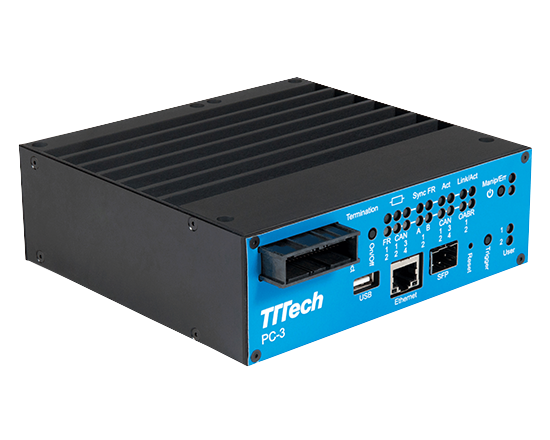 The PC-3 is a universal, intelligent gateway tool which enables data exchange between various bus systems such as CAN, CAN-FD, FlexRayTM and automotive Ethernet networks, and allows data manipulation in real time. It provides reliable support for all bus analyses and system integration in development, integration and test phases. Users can forward selected data to the data logger for analysis, or to other display devices. 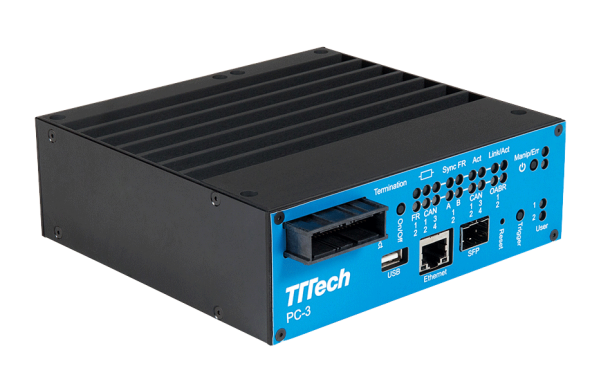 Thanks to its compact dimensions and its stability, the PC-3 is portable and can be easily integrated into any vehicle. The included tool allows you to create configurations quite simply with a graphical drag-and-drop interface.